Families of children with special needs know some of the healing benefits of laughter demonstrated in recent research studies and reported in the media. Humor therapy has been shown to benefit patients with serious illness and many hospitals offer "Strength through Laughter" programs. Organizations like the Starlight Children's Foundation provide 'positive distractive therapy' in children's hospitals and children's wards throughout the country. Where do we as parents find the humor that can give us the strength we need? We don't need to look much farther than our families. Even in the worst of times, our children can inject a bit of comic relief into the most serious situation. But where is the audience for our stories? I believe we must look to one another to find the outlet we need. Many times, parents whose children share a similar diagnosis will see the humor in situations that might shock our mainstream peers. We should share the funniest of our stories just to show one another we are all out here. Although we as parents can get caught up in stress-related reactions due to conflicts in schedules, extended family obligations, finances, shopping, traffic and weather, our sons and daughters can shock and delight us with both their total dedication and complete disregard for our expectations. 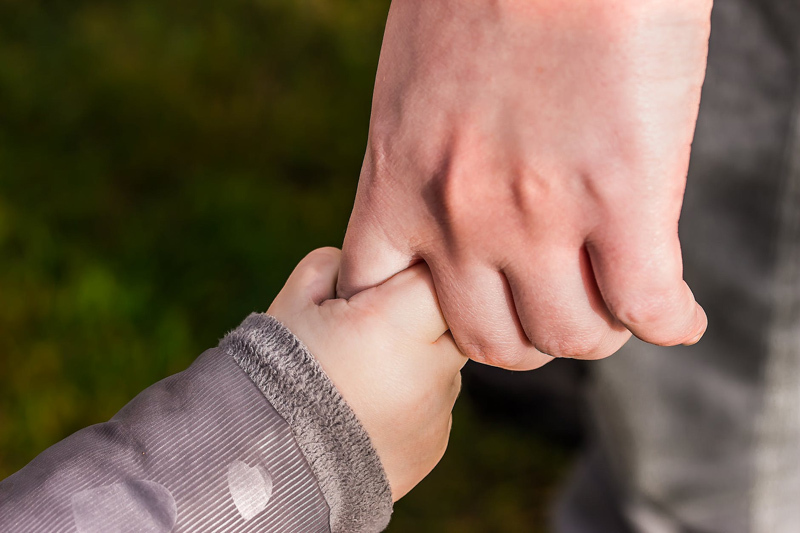 Sometimes parents of children with special needs are sidetracked or sidelined by emergencies that add nearly unbearable frustration or anxiety as we attempt to establish our own family traditions. Reading support group messages or emailing other parents who experience similar disability-related set-backs often leads to a bit of humor or even silliness as we recognize kindred spirits or truly funny people whose perspective can shift our own. On rare occasions, we may talk in person or over the phone with kindred souls who raise our spirits in unpredictable ways. During times when we may be eager for perfect moments of happiness or peace, the capacity for things going terribly wrong is greater than at any other time. Why wait ten years to look back and laugh at our worst moments when we can share them with one another and transform the experience right now? We may wait a long time to one day to hear, "Well done, good and faithful servant" but until then, finding what is funny and sharing it can fill us up. Remembering to laugh is not only good for our own health, it sets a great example for our children when they are anxious or in crisis. Anyone can get caught up in dreams of elegant meals and fabulous parties ~ how much funnier is it when we feel the same about life on a much less grand scale? Nothing rescues the festivity of a holiday or special event like taking a break from our great expectations and enjoying the moment. During the holidays, a bit of simplicity and flexibility can help rescue our sense of balance and happiness. To enjoy happier celebrations, we need to maintain as much of our regular schedule and add humor and forgiveness wherever possible. It is not a crime to take a five minute break in a cool, quiet room; or engage in self control (or indulgence) when confronted with a dessert table. When we do decide to indulge in mini-sundaes with our best friend or favorite neighbor, we should enjoy it to the max! Using paper lunch sacks as inexpensive gift bags instead of wrapping presents can give us time to paint our toenails or draw on more attractive eyebrows. Although everything used to seem sillier on insufficient sleep, indulging in a nap or 'sleeping in' whenever possible can go a far way in restoring good humor now. Our children are funnier when we can keep our eyelids up long enough to see what they are doing. Taking back even a few moments several times a day to tune into our children is the best way to work up new comedy material. Building the very special memories that cause us to have such high hopes for continuing our childhood traditions for our own sons and daughters is more likely when we have some respite from 'special event' fatigue. Sometimes the best respite happens when we find ourselves 'in the moment' with a child, taking a vacation from anything to do with a diagnosis, support or advocacy. Being with our children in those moments gives us some of our best mom-to-mom stand-up comedy material. or Let's Pretend This Never Happened: (A Mostly True Memoir) .